The Law Offices of James K. LaRoe P.C. (LaRoe P.C.) has a national reputation of excellence for its aggressive client representation both in and out of the courtroom. As a premier boutique business insurance plaintiff’s firm, LaRoe P.C. represents a broad range of clients, from sole proprietors to publicly-traded corporations, including select major commercial insurers, throughout the United States. 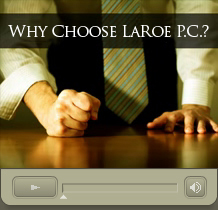 Why choose The Law Offices of James K. LaRoe P.C.? Since 1993, LaRoe P.C. has successfully focused on commercial business insurance related matters. As such, LaRoe P.C. has vast experience with the unique legal and economic issues presented, working relationships with an array of top experts in the related fields of expertise and proven approaches to favorably resolving the most complex disputes for LaRoe P.C. clients. LaRoe P.C. uses a structured approach to each individual matter. LaRoe P.C.’s highly successful approach requires a thorough analysis of all aspects of the dispute and costs so that each client can make an educated decision about how to proceed at each stage of the dispute. LaRoe P.C. attorneys and staff recognize that advocacy without practical, well reasoned analysis can result in unnecessary and increased costs for clients. LaRoe P.C.’s proven methodology has been a key to LaRoe P.C.’s long time success. LaRoe P.C. has been dedicated to excellence in serving clients and their unique and varied interests since inception. Unlike most law firms representing predominantly plaintiffs, LaRoe P.C. understands the complexities involved with representing business clients and has incorporated solutions to address those complexities into the LaRoe P.C. approach to customer service. LaRoe P.C. can adapt to the most strenuous corporate reporting structures. For most clients, LaRoe P.C. 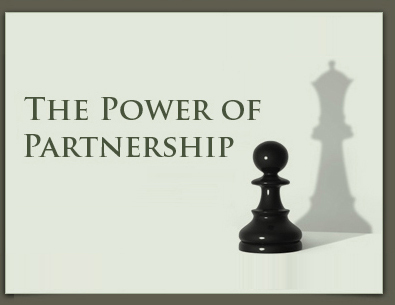 has a 24 hour, 7 day a week response relationship to address pressing issues or new matters. LaRoe P.C. offers a selection of fee arrangements to help clients level the field of conflict. Ranging from pure contingent fee to blended retained and contingent fee agreements, LaRoe P.C. fee arrangements are designed to help prevent the cost of litigation from being outcome determinative for clients.